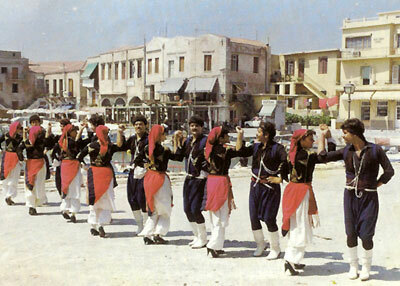 The Group Vrakoforon of Crete (Oμιλος Βρακοφορον Κρητης) was the first traditional Cretan Dance Group to be formed in Greece. 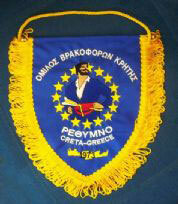 Founded in 1973 in Rethymno by a group of Cretans and led by its then first president, the late John Stafridaki, the philosopy behind the creation of the club was to preserve and proliferate this aspect of Cretan culture and tradition at a time when traditional aspects of Crete were under threat from modern influences and were at great risk of being lost forever. The club grew from being Club Vrakoforon of Rethymno and in 1996 became known as the Vrakoforon Group of Crete to reflect its distinguished position in the eyes of the Cretan people as a custodian of national and cultural traditions. The Group is well known in Greece and throughout the world for its events and promotion of Cretan culture. The Vrakoforon Group has travelled internationally and performed in many countries with great success. The Group believes that the tradition of a place is not just about dancing but all those old and beautiful things inherited from our ancestors, including hospitality, dance, song and patriotism. The Group Vrakoforon continues to teach young people and especially children, the ideal of Cretan tradition with education in the art of Cretan traditional dance. The current President of the Vrakoforon Group is Stelios Kiagiadakis. The Vrakoforon Group is sponsored by Aegean Airlines.